There are very few studies on the Natha philosophy which is still not much known specially among the educated in India. It is a complex field of study but can be made more understandable by suitably clarifying the matter under the principal heads. The works of Matsyendranatha and his great disciple Gorakshanatha form a significant contribution to the exposition of the theory of the creation of the universe, the working of man's mind and nature and the Astuiinga Yoga. 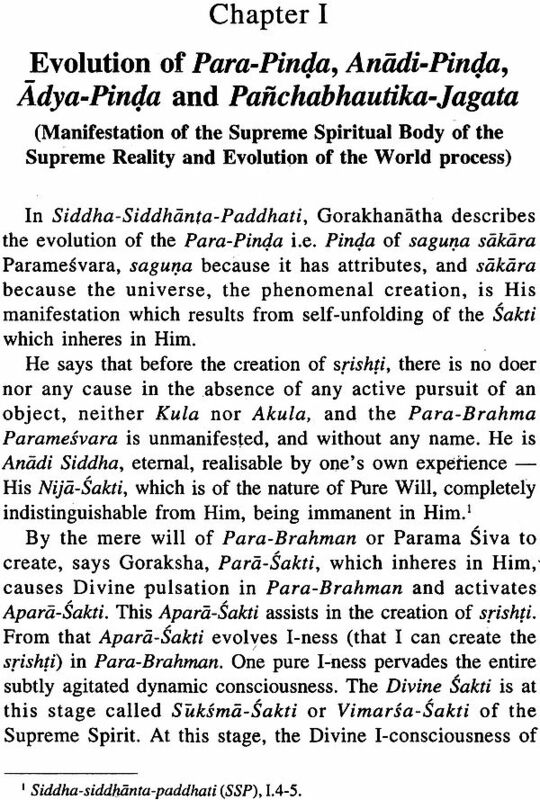 These have been described in the present work in a simple language, while tracing the-origin of nearly all the concepts of the Natha philosophy to the Vedas, Upanishads, Smritis esc., and in a much more comprehensive form to Pataiijali's Yoga Siara. V.S. Bhatnagar received his Master's degree in History in 1955 and a doctorate in 1960 from the University of Rajasthan. Recipient of various honours, he retired as Professor from the University Deptt of History (1992) and was' a Fellow at I.I.A.S., Shimla (2002-2005). The special area of his interest includes the Eighteenth century. His research papers have been published in regional and national journals, Felicitation Volumes and Proceedings of Seminars. His publications include Life and Times of Sawai Jai Singh (Impex India, Delhi 1974) and translation and annotation of the 15th century Historical epic "Kiihadade Prabandha - India's Greatest Patriotic Saga of Medieval Times (Aditya Prakashan, Delhi, 1991). These are brief studies in the philosophy of the Natha Sampradaya, a socio-religious movement, if one may like to call it, which spread fast with its hundreds of dsanas or monasteries transcending borders and boundaries and cutting across regions and historical times from Afghanistan to Bengal and from Kedarnath in the north to the deep down south, having a central body to serve as a regulating authority of some sort. The sampraddya which came to the fore about 1150 A.D. under Maha Yogi Gorakshanatha, an author of several works on the philosophy of the sect, preached equality of all people irrespective of all distinctions, and that one can experience oneness with the highest Reality, the Supreme Soul, Para Brahman, who by His own will creates the Universe through His Sakti inseparable from Him, the whole cosmic world being unfoldment of the Divine Sakti in Her diverse forms, and that the supreme object of the yoga mdrga advocated by him was to realise that the soul of every individual was non-different from the Universal Soul, and that it was realisable by self-experience under the guidance of a self-realised spiritual guide, without taking recourse to external formalities, rituals and dogmas, thus giving hope even to the weakest and the lowliest who can by intense awareness and mental observation of one's true nature and by deep meditation and reflection can realise the Supreme Reality. 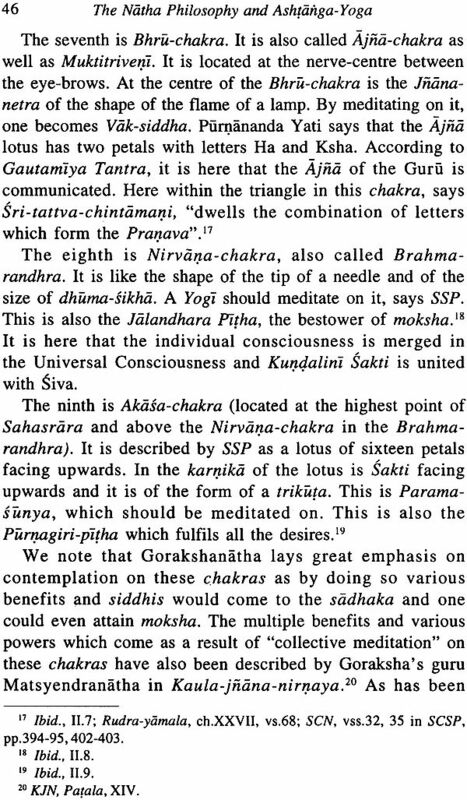 Gorakshanathas yo ga-miirga was deeply rooted in the ancient yogic traditions of India, traceable to varying extentno doubt, to the Vedas. 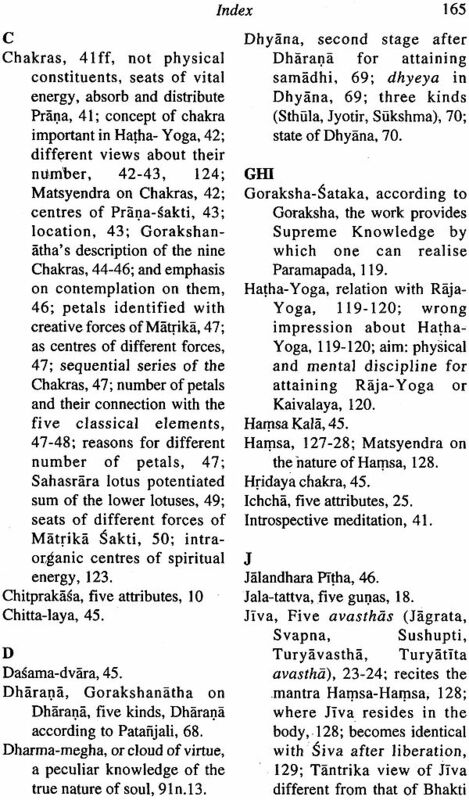 Upanishads, Smritis, Yoga Sutra, Purdnas and other works. He never alluded anywhere that he was deviating from or protesting, much less revolting, against the spiritual and philosophical traditions of the land. 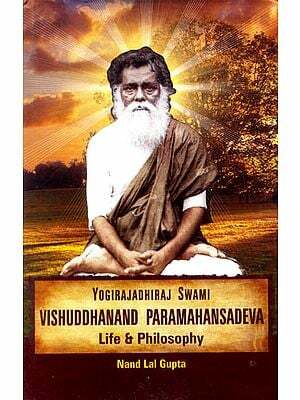 He believed that by synthesising the views of different schools of philosophy and religions, and by following the Yoga-mdrga, state of visranti, which marks the cessation of chiua-vrittis, is achieved and the yogi is absorbed in Para-Brahman- Parrnesvara. And this is possible even when not living in seclusion but while striving for the welfare and happiness of the people. His description of an Avadhiaa sets highest ideals for an individual, a morally and spiritually elevated person who has realised the tme nature of self. In its original format, the work, "Some Aspects of the History and Philosophy of the Niitha Sampradiiya", was divided into two parts. Part I deals with the problems related to the Adi Siddhas, the Nava-Nathas, the three Mahayogis, viz. 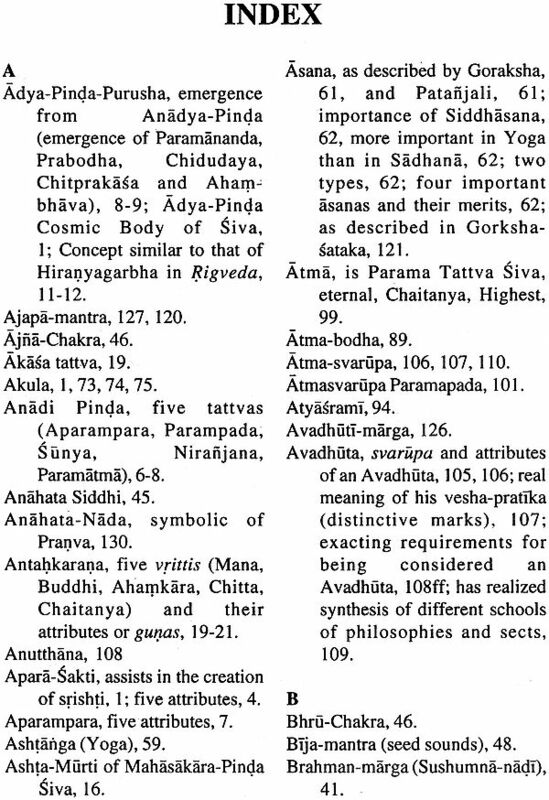 Matsyendranatha, Gorakshanatha and Jalandharanatha, some of the important practices among the Nathas, their distinctive marks, the complex problem of the Natha sub-sects or Panthas and a longish chapter on the Natha iisanas or monasteries in India, mainly in c.1820 A.D. and c.1924 A.D. showing spectacular spread of the sect. Part II, which is being published first for reasons explained below, deals with the Natha philosophy, and forms the more important part of the work. It was felt that though Part I was complete in most respects, it still suffered from a draw-back viz., the information and data about the present actual position of the sect, its sub-sects, the condition of the Natha monasteries and the role they are playing in the changed circumstances was as yet incomplete, and its completion was likely to take at least a year more. We have the required information and figures for c.1820 A.D. and also for c.1924 A.D. but for the present times, these are inadequate, and to know these is necessary, the sect having witnessed vast changes in times and conditions after 1947 or so. The Princely States which had been givmg liberal endowments to the Natha asanas and monasteries, in some cases since the 14th century or even earlier, are no more and many of the most important monasteries, such as at Tilla in the Salt Ranges and thoseat Peshawar and in Punjab and Sindh are now in Pakistan while some are in Afghanistan, and their existence, condition and relationship with the Bdrah-Bheka, the Central Body of the Nathas, or with Gorakhpur, needs to be ascertained. Moreover there have been vast changes in the lives and outlook of the people in India and their attitude towards religious sects and monasteries, bringing about a marked shift in their interests and values. For these reasons it has been decided to bring out Part I when this lacuna has been removed which will also enable us to know if any hiatus exists in the theory and practice of the sampraddya, as suspected by some scholars. The Sanskrit terms have mostly been given in the present work in their original form along with their English equivalents within brackets. This may be found more advantageous as the English translation of many terms convey only approximate meaning. A few inadvertent omissions of diacritical marks may be noticed. These will be rectified later when incorporating the suggestions of the learned readers to make the work more useful and error free. My acknowledgement of gratitude to the earlier scholars whose works are directly or indirectly related to the subject need to be specific. Prof. P.C. Bagchi' s edited work "Kaula-jann a-nirnaya" has been extremely useful for Matsyendranaths philosophy. In Dr. Kalyani Mallik's book we get a number of important texts relating to the Natha Sampradaya including Siddha-siddhiinta-paddhati, which has been the main source for the present work. M.M. 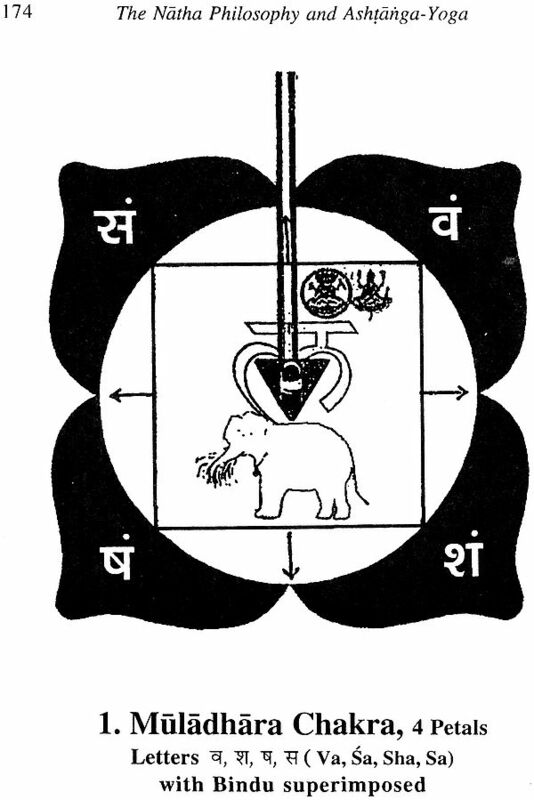 Gopinath Kaviraj's several scholarly works; though difficult to follow, throw important light on several points, such as, chakras, concept of Kundalini, prana, etc. George Weston Briggs' work is indispensable for anyone working on the Niitha Samp radiiya. The learned commentary of Siddha-Siddhanta-Paddhati in Hindi in the two issues of Bharati, a Sanskrit journal published from Jaipur, has been invaluable. 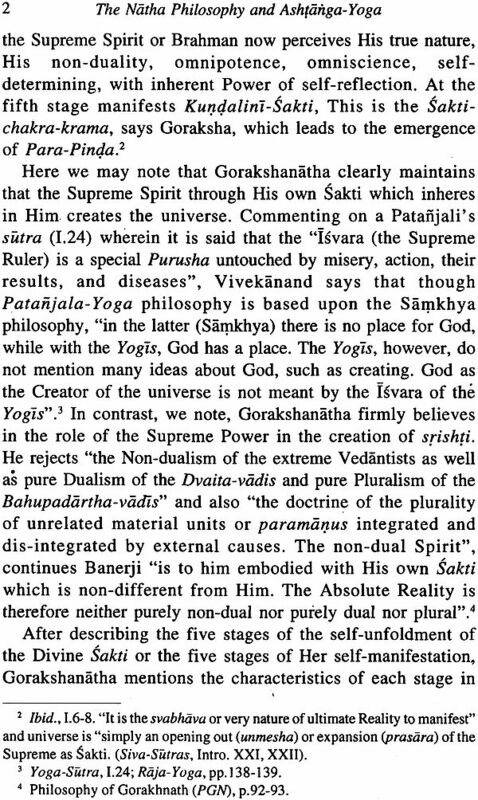 Dr. A.K, Banerji's work on Gorakshanathas philosophy has been very useful in elucidation of several terms in the first two chapters dealing with the evolution of the Universe. M.M. P.V. 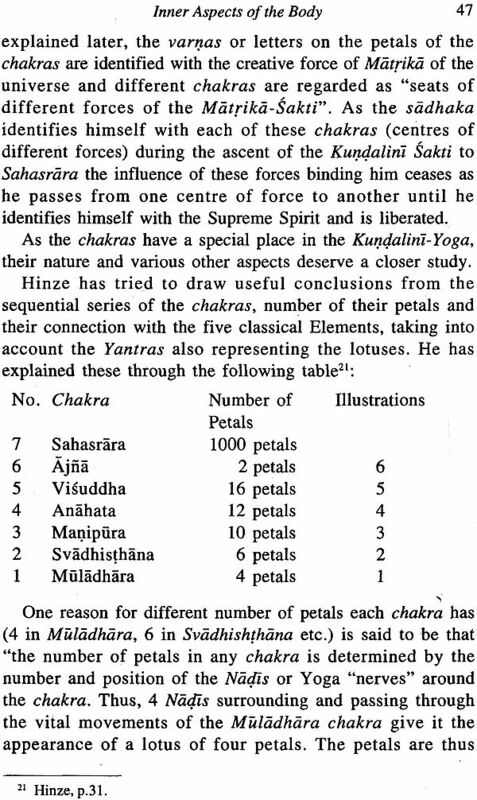 Kane's History of the Dharma-Siistra has been particularly helpful in the chapter on the Ashtanga- Yoga and so also Swami Vivekanands commentary on the Yoga-Siara. Jaidev Singh's Siva-SLltras (tr.) serves as a model of accurate and painstaking study and has been a useful guide. 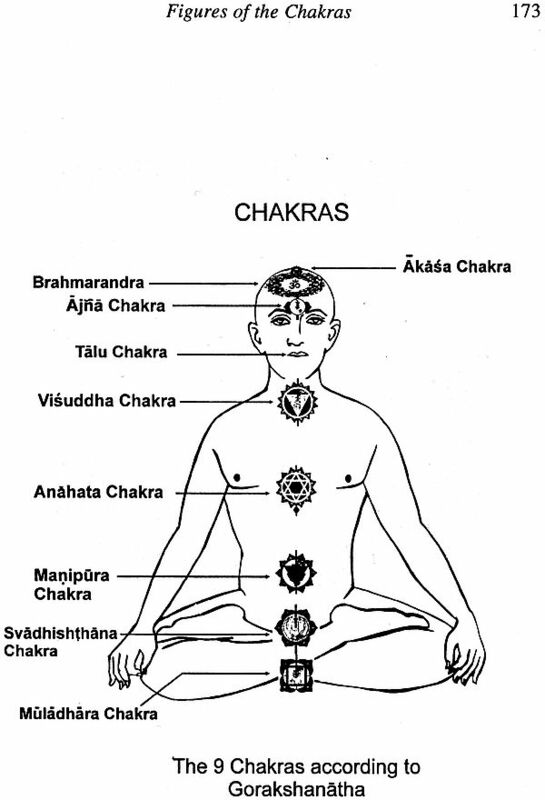 The works of Sir John Woodroffe and Oscar Marcel Hinze have been useful in understanding and interpreting from new angles the chakras and the ascent and descent of Kundalini . The names of other scholars and their valuable works have been duly acknowledged in the text and the references. I am deeply indebted to the late Prof. G.c. Pande who first asked me to work on this topic and kindly provided me with the opportunity to work at I.I.A.S., Shimla. I also feel highly obliged to Professor Hira Lal Maheshwari, formerly in the Department of Hindi, University of Rajasthan, Jaipur, for lending me many books relating to the Natha Sampradaya from his personal Library. I am also grateful to my fellow colleagues at the Institute, specially Prof. S.c. Pande, Prof. V.K. Vashishtha and Dr. Neelima Vashishta for their gracious and friendly support, and to Shri Maganlal Verma, former Dy. Registrar, M.D.S. University:' Ajmer, for overseeing the typing of the manuscript. In the end, I wish to express my sincere gratitude to Shri Aditya Goel of Aditya Prakashan, Delhi, for undertaking the publication of this work and bringing it out in a short time.